GOAL is an international humanitarian agency, dedicated to ensuring those living in severe poverty have access to the essential needs and rights in life. They are a non-denominational, non-governmental and non-political organisation. 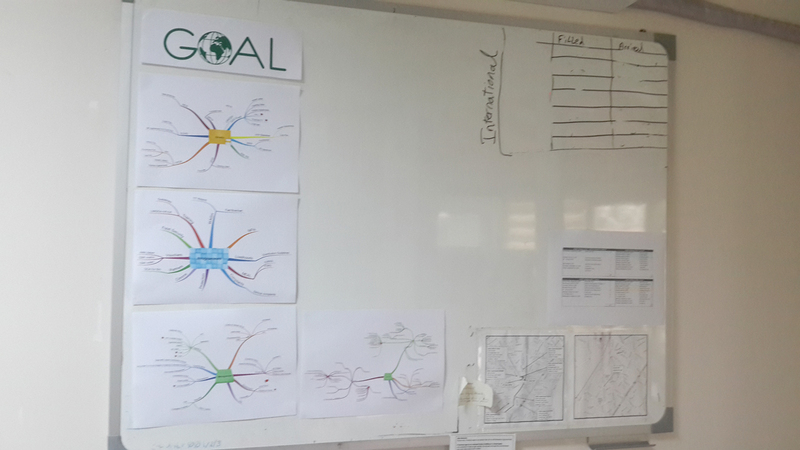 In this article, Vicki Aken, the agency’s Country Director for Syria, discusses how Mind Mapping and iMindMap have become essential for coordinating all of the operations for the many issues that the agency handle. Eric Berg, the President and Chief Executive Officer of non-profit capacity building organization, LINGOs, first introduced Vicki to iMindMap many years ago while she was working with them. Now, in her work with GOAL, the software has become an integral part of her day-to-day work, especially when it comes to the organisation of each department’s weekly responsibilities. One of the benefits of using a Mind Map is that they consolidate a large amount of information and give a bird’s eye view of the content, which saves Vicki and her colleagues valuable time. Vicki hopes to spread the use of iMindMap throughout the organisation. Download the iMindMap 7 day free trial today to discover how iMindMap can help you keep track of large amounts of information and streamline your tasks.